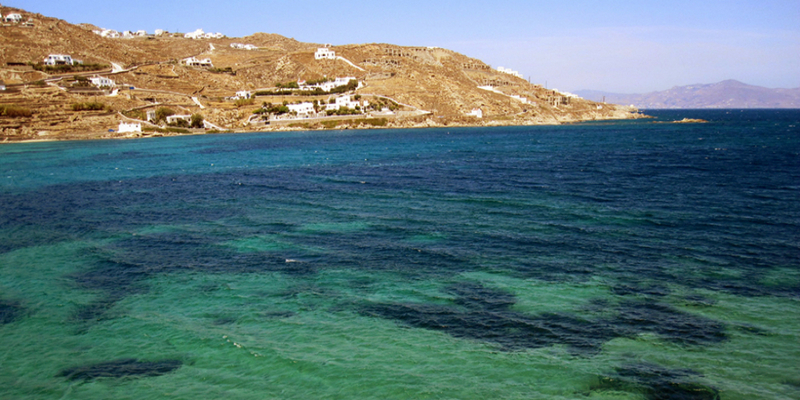 In a distance of 2.5 km from Mykonos town there is Korfos beach. Korfos faces north and it is exposed to the strong wind that might not be the best place for swimming when it is windy, but it is the best place for windsurfing. Not only the strong winds but also the shallow waters create waves, ideal for jumps and wave riding.